LONDON, UK (X17online) - The King's Speech, already nominated for a Best Picture Academy Award, swept up seven British Academy of Film and Television Arts Awards. The period piece about King George VI won for best actor for Colin Firth, best supporting actor for Geoffrey Rush and best supporting actress for Helena Bonham Carter. Firth told the BAFTA crowd, "I would like to thank Livia and the whole family for remaining so steady, whether they are dealing with a dancing queen or a sometime king." 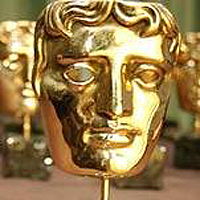 The BAFTAs is the U.K. version of the Oscars.